There are health benefits associated with many fermented foods the probiotics and fiber benefits of sauerkraut or kimchi, or fermented soy products that mitigate it’s estrogen disruption issues. The fermentation process is a staple of food and beverage creation… we wouldn’t’ have beer without it! Apple cider vinegar is yet another example with a myriad of both health and all around the house benefits. Apples are crushed and bacterias and yeast are added to ferment the juice into alcohol, at which point a second fermentation takes place with acetobacter bacteria that turn it to vinegar. Lower Blood Sugar – ACV is often touted for it’s insulin assisting ability. Improving insulin response and thus lowering the rise of blood sugar, a huge boon to diabetics. Weight Loss – Probably the most common use and reason apple cider vinegar sells so well. The ACV is supposed to help you feel sated sooner, and it’s associated lowering lower blood sugar rise and insulin response could help with over eating. Anti-Bacterial / Anti-Fungal – Vinegar kills pathogens and is used for treating various funguses in the nails, ear infections, warts. This highly acidic nature makes it equally useful for calluses as warts… soak the area to soften it up and then scrub away. Equally it could burn away the bad breath causing bacteria if you give it a quick gargle (diluted in water). Hair Rinse – Of course ACV will soften your hair and remove product buildup. It’s a great way to soften and smooth your hair while balancing the pH levels that can be thrown off by harsh shampoos. The anti-bacterial effects can assist with dry itchy scalp, helping it heal, and some people even say it may stimulate hair growth. Improve Digestion – the apple cider vinegar is full of live enzymes that can further break down food inside your gut, helping your digestion and making sure core nutrients are extracted from food. Restore pH levels – On a pH scale, apple cider vinegar is slightly acidic and diluting it with some water can make it more palatable. The ACV before a workout can help your body maintain pH levels so it more easily eliminates lactic acid and staves off muscle fatigue. While similarly benefiting you externally by balancing hair and skin levels. Apple Cider Vinegar for liver health and detox gets it’s own category. This enzymatic fermented liquid cure all has been touted to assist in liver cleanses for years. The basic recipe is adding one or two teaspoons 6-8 ounces of water, and a natural sweetener like honey. Some recipes may also include some lemon juice. Proponents of these cleanses will suggest you drink this concoction down before meals for one full day. Others combine it with a week long vegetable based cleanses. Always dilute it, and be aware there is very little actual research on apple cider vinegar as a liver cleanse. Intuitively though the anecdotal evidence suggests it probably does something beneficial for your liver. Just don’t let the hype carry you away. If liver health is your concern there are easier ways to supplement it that are more well researched. Though it ties into health there are great salad dressing recipes for apple cider vinegar. Even simple mixtures like olive oil, apple cider vinegar, and a pinch of sea salt will be a healthy delicious addition to any salad. Put undiluted apple cider vinegar in a spritzer bottle and use it to clean around your kitchen, bathroom, and floor! Some apple cider vinegar and a 3% hydrogen peroxide wash are an easy safe solution to clean your vegetables. ACV and water works well for cleaning windows… really the possibilities are endless. It’s a safe natural, slightly acidic, anti-bacterial, anti-fungal. Is Apple Cider Vinegar Safe? As a supplement and food stuff, apple cider vinegar is not well regulated and because the fermentation process means different vinegar content from brand to brand there is the potential for some highly acidic product. There is even an instance of a woman experiencing burns in her esophagus from an apple cider vinegar pill stuck in her throat. Overall we’d say it’s reasonably safe, but like all things, use in moderation and talk to your doctor if you also suffer a health issue. 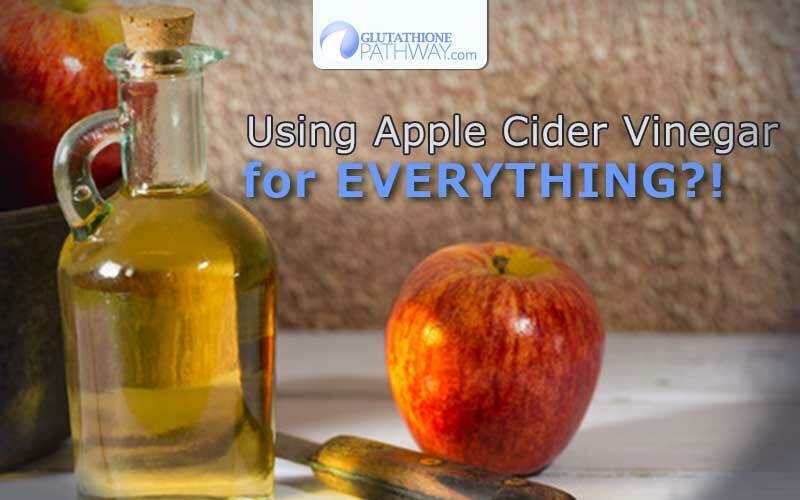 Overall, we are believers in apple cider vinegar as a healthy ingredient for your salad dressings, a fantastic cleaning agent for around the house, and the potential health benefits easily earn it a place on your kitchen counter. Try and find reasonable ways to include it in your diet to help satiate. Even if it doesn’t completely control your blood sugar it is more likely to do good than bad for your intestinal health. Plus keeping it handy as a natural home cleaning agent or to soften up a callus or work into your scalp for certain conditions is a no brainer.